The cherry blossom in my garden, the subject of three of my ‘Blossom Burst’ compositions is coming out like a big, pink explosion again, and I am working on fresh compositions. To celebrate the coming of spring, all Blossom Bursts are reduced by a third until the blossom falls. This offer stands until the tree outside my window is bare! I’m pleased to announce that the CBSO has joined Martineau Gardens and the ME Association in my ‘4 the benefit of’ section. As a big fan of the CBSO and the CBSO Chorus, and as a singer with CBSO SO Vocal community choir, I am delighted to donate profits from a selection of my limited edition prints to this world class orchestra with far-reaching community programme. 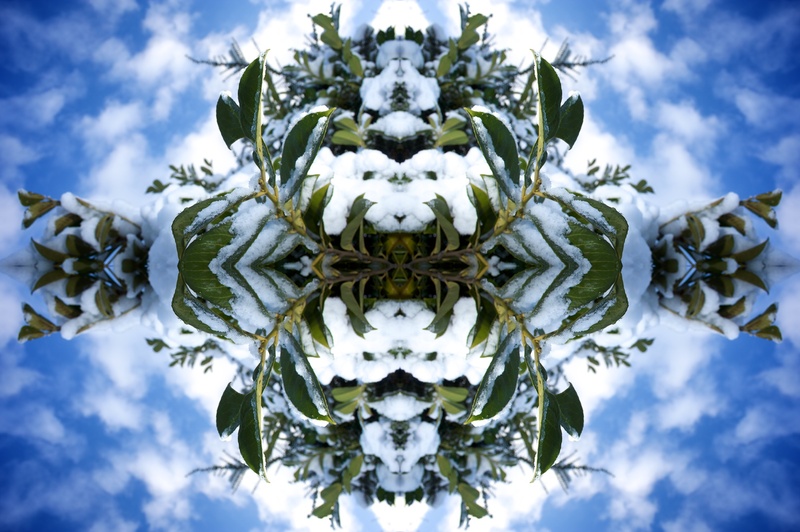 My New Year’s resolution was to curate, share and offer for sale the twice-mirrored images that I have been making for the past ten years, and what you see before you now is the end result. Many of these pictures have never been shown before and are emerging with blushes appropriate to the occasion. Treat them gently, forgive them their youthful extravagances and above all, wrap up warm.